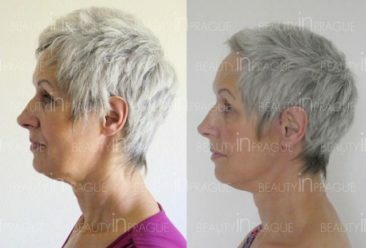 Wally came to us for Facelift and Necklift Surgery. Her surgeon was Dr. Hubert Topinka and after her surgery was completed, she stayed in Prague for 10 days, two of which were at the clinic. Beauty in Prague: Why were you interested in a Facelift? Wally: I didn’t like myself in the mirror. Beauty in Prague: Why did you decide on a clinic in the Czech Republic and Beauty in Prague? Wally: I read that the Plastic Surgeons in Prague are well educated and know what they’re doing. Also the price-performance-ratio is much better than in the UK. When I was doing my research the website looked really professional and this helped me to make my decision. Beauty in Prague: What was your first impression when you came to the clinic? Wally: The communication from Beauty in Prague was quick and very informative. The reception area looked modern and friendly, the operating theatre was well equipped and I was impressed with how hygienic it was. Beauty in Prague: How was your experience with your surgeon, Dr. Hubert Topinka? Wally: Dr. Topinka doesn’t speak English, but the clinic gave me a translator and normal communication was completely possible. Dr. Topinka seemed really professional to me, I trusted him immediately. The surgery performed by Dr. Topinka was perfect and I am more than happy with the outcome. Beauty in Prague: How was your recovery? Wally: The facelift surgery went really well and I was not in that much pain but I was given painkillers. After the third day I was in no pain at all. The last check-up performed by Dr. Topinka was awesome. Beauty in Prague: Would you recommend Beauty in Prague? Why? Wally: Yes, I would definitely recommend Beauty in Prague without any doubt. I would definitely come back for another treatment. Beauty in Prague organised everything perfectly, from arrival until I returned home. All plastic surgeons have years of experience. 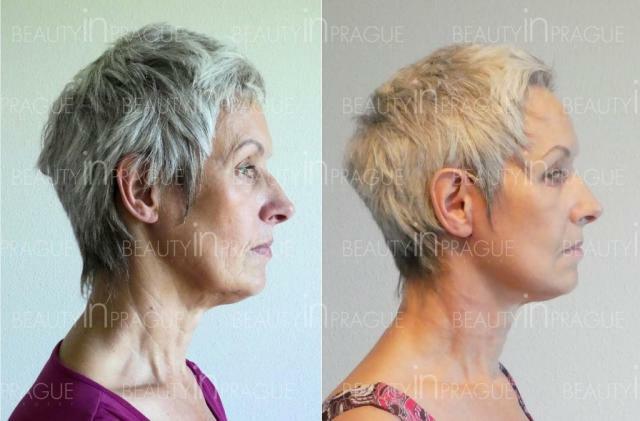 Beauty in Prague: Which advice would you give to others who are thinking about Facelift Surgery? Wally: I would advise them to research in advance and to not only look at the best price, but also for the qualifications of the surgeon. 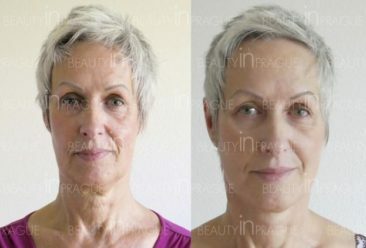 It is important that the surgeons are certified and have many years’ experience in plastic surgery. Here you can see the before and after pictures. The after pictures were taken a month after Wally’s. After three month a final result should be reached. All scaring will have settled down and be almost invisible. Our free email consultation is available for you. Simply fill in the medical questionnaire and send us some photos of the areas you want treated. We will respond within 48 hours with your cosmetic surgery package quote.